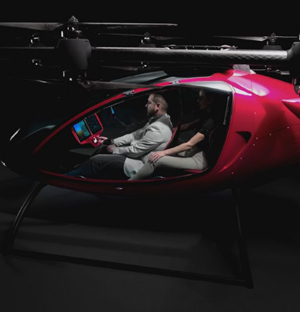 Updated: Astro Aerospace Ltd. of Dallas, creating autonomous eVTOL (Electric Vertical Takeoff and Landing) aerial vehicles and drones, announced this week that they have been granted a Special Flight Operations Certificate for the operation of an unmanned air vehicle (UAV) system, for its passenger drone project, “Elroy”. Astro’s drone; Elroy will be flight tested at the Toronto Markham Airport (CNU8) this week and will perform multiple flight manoeuvres, take offs and landings, exercising it’s newly developed Avionics software and flight control systems. 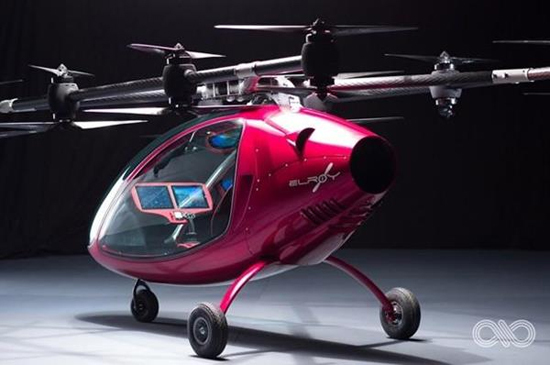 Elroy is Astro’s two passenger eVTOL, short haul aerial vehicle with the ability to travel up to 70km/hr for 25 minutes completely emission free. Ideal for urban commutes, turning 2 hour trips into 20 minutes. It’s industry leading Touch Screen Control system, flight control algorithm and fully electric powertrain is expected to change the landscape of daily travel and Astro Aerospace is in the prototyping stage of its passenger drone for the Urban Air Mobility (UAM) network. Update: Check out the test flight conducted yesterday September 19th. The Astro Aerospace mission is to make self-flying unmanned and manned vehicles available to anyone, at anytime, from anywhere, and to turn this new and exciting aircraft into an everyday means of transportation. Visit www.flyastro.com for more information. This entry was posted in Science on September 18, 2018 by admin.